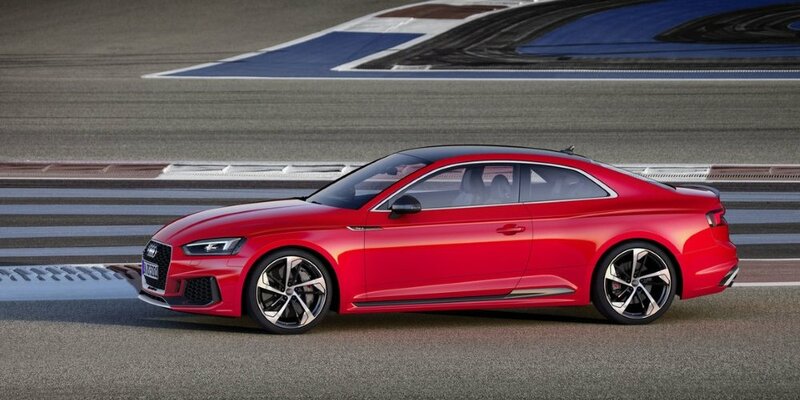 "The new Audi RS 5 Coupé is the gran turismo among the RS models from Audi Sport. 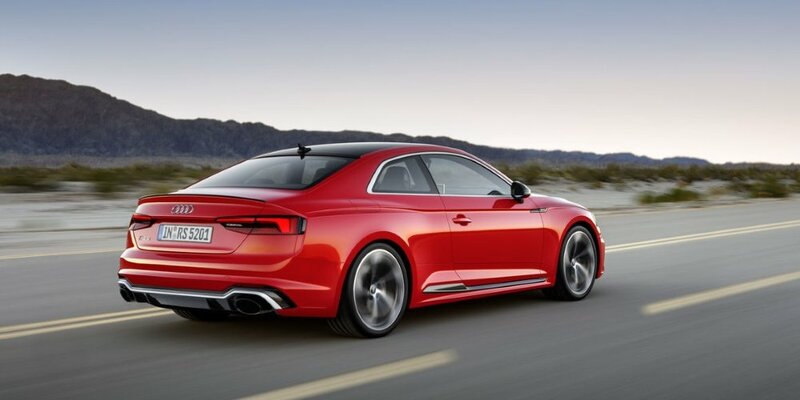 The high-performance Coupé combines elegant aesthetics with high everyday usability. 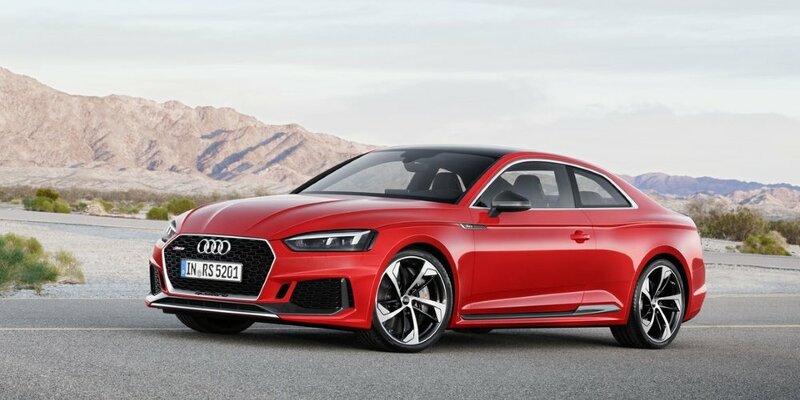 The car’s V6 biturbo has been developed from the ground up and provides significantly more performance coupled with higher efficiency," said Stephan Winkelmann, CEO of Audi Sport GmbH, in describing the new model. Sporty accents are provided by the RS-specific diffuser insert, the oval tailpipes of the RS exhaust system and surface-mounted spoiler lip. 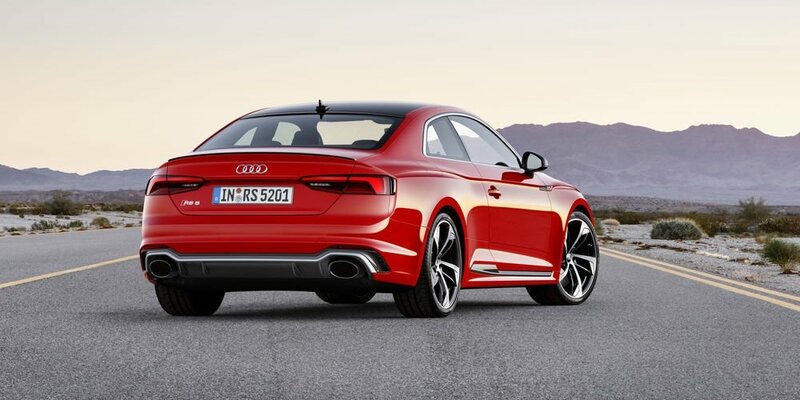 The RS 5 Coupé rolls standard on 19-inch wheels, with 20-inch wheels available as an option. The appearance packages - gloss black, carbon and matt aluminum - provide even more customization options. 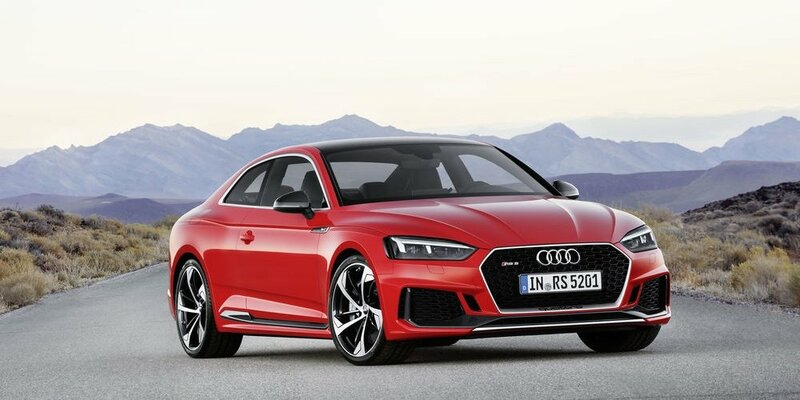 With a length of 4,723 millimeters (185.9 in), the new Audi RS 5 Coupé is 74 millimeters (2.9 in) longer than the previous model. 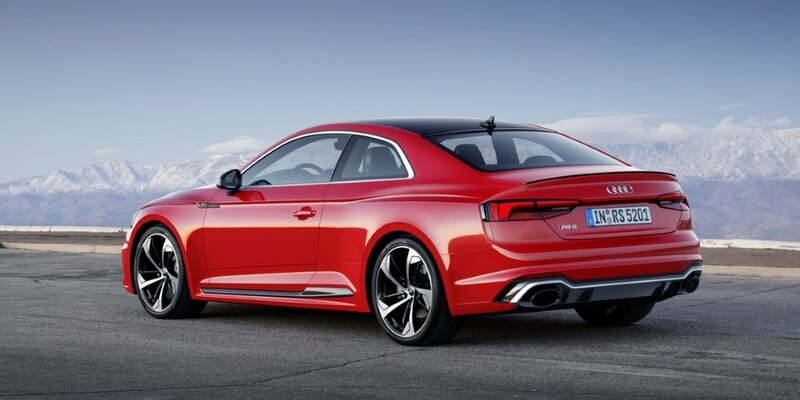 The 2.9 TFSI V6 biturbo engine, which Audi developed from the ground up, offers sharp increases in power and efficiency as well as an incomparably full-bodied RS sound. It produces 331 kW (450 hp). Its peak torque of 600 Nm (442.5 lb-ft) - up 170 Nm (125.4 lb-ft) from the previous model - is available across a wide band from 1,900 to 5,000 rpm. 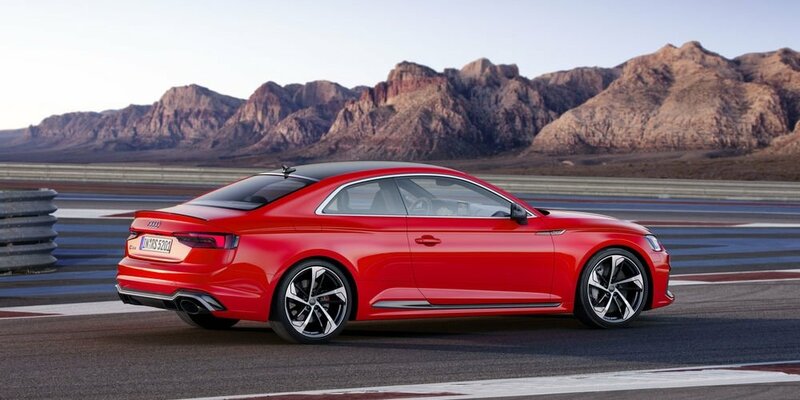 The top model in the A5 family sprints from 0 to 100 km/h (62.1 mph) in 3.9 seconds and with the optional dynamic package reaches a top speed of 280 km/h (174.0 mph).